Abilities Week kicks off on Monday, Sept. 17 and will conclude with the Eighth Annual David Feltner 72-Hour Memorial Bike a Thon at 5 p.m., Saturday. Various sororities will also be at the belltower periodically during the 72 hours competing for distance on a bike for a set period of time. As of Sunday night, chapter members have signed up for more than 250 hours of service during the bike a thon portion this week. That means they will man one of two or three stationary bikes and/or greet folks at a donation table. A contingent from The Ability Experience, the philanthropic effort of the national fraternity and benefactor of the fund-raising portion of the week, will do a Facebook Live broadcast from Charlotte. CEO Basil Lyberg and others will ride stationary bikes at the national headquarters alongside the chapter’s riders on campus. We plan on having a video feed from Charlotte at the Purdue location. The chapter also hopes that special needs classes from Lafayette Jefferson High School can attend the bike a thon during the lunch hour on Friday. Omega alumni and undergraduates when Feltner was in the chapter, Mike Lolkus and TJ Tomasik, plan to ride the last five minutes of the Bike a Thon. Fellow fraternity alumni Andy Scheil and Nick Prichodko are scheduled to be present at the 5:45 p.m., Saturday closing ceremonies in the chapter house’s Great Hall. Candy & Steve Feltner, parents of David will join us via FaceTime at Saturday’s closing ceremonies, too. The bike a thon is held in memory of David Feltner, who died in 2011 of a rare form of cancer while and undergraduate member of the chapter. He was very committed to the chapter’s Ability Experience programming and was one of the original guys assisting children with cognitive, behavioral or physical disabilities at the local high school. The Purdue fraternity holds outreach and fund-raising events for people with disabilities in conjunction with The Ability Experience (www.abilityexperience.org). 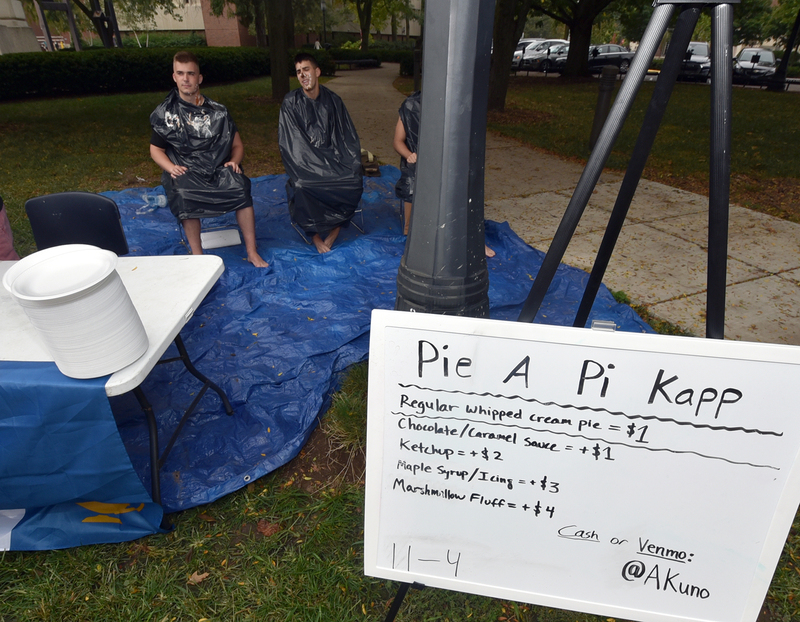 Abilities Week for the chapter should raise more than $4,000 for the cause, a quarter of which directly supports special needs classes at the local high school. Riders commit to $10 per hour fund raising and alumni commit to $25. The Purdue fraternity has raised more than $10,000 thus far during 2018. 5 p.m., completion of the 8th Annual David Feltner Memorial Bike a Thon at the Purdue belltower on campus. That will be followed by a 5:30 p.m. gathering in the Great Hall celebrating the bike a thon accomplishments along with comments from organizers. Also, alumni are welcome to ride for an hour in the 72-hour Bike A Thon, which runs from 5 p.m., Thursday, Sept. 20 through 5 p.m., Saturday, Sept. 22. Alumni riders are asked to donate $25 for each hour they ride to The Ability Experience (payments can be made that day or mailed in from information included in the Omegalite).